RARELY AVAILABLE in Englewood. Great LOCATION with incredible VIEWS. 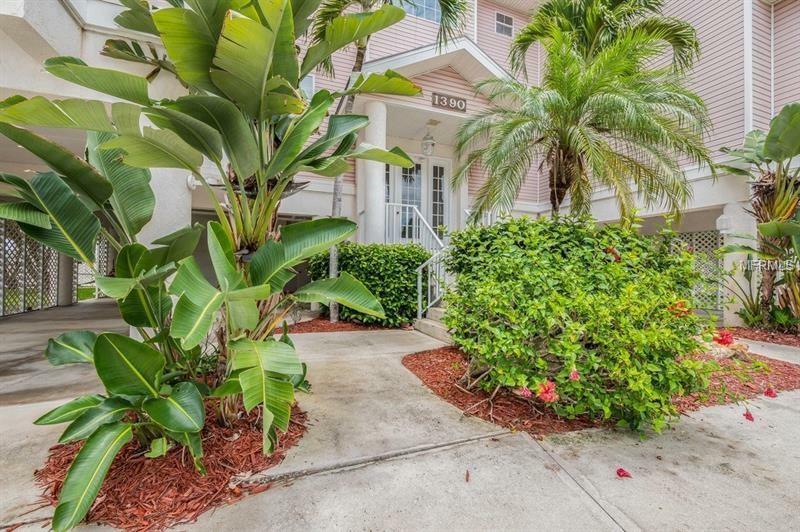 Breathtaking expansive views of Lemon Bay are right before you as you enter this spacious 2 Bedroom, 2 Bath end unit condo. Your view continues as you step out on the oversized screened lanai through pocketing sliding glass doors from your living room. And if this is not enough to entice you, this condo has an oversized one car garage, in unit washer and dryer, storage room on your lanai and the condo complex is pet friendly. From this unit you will also enjoy beautiful sunsets over looking your 40 foot boat slip with lift and no bridges to the ICW/no fixed bridges to the Gulf of Mexico. Located less than 1/2 mile from Englewood Beach and restaurants, this unit is in "turn key move in" condition awaiting your personal touch. The master bedroom has a king sized bed, two walk in closets and a large ensuite with separate garden tub and large walk in shower. Hot water heater new as of June 2017 and A/C is 1 1/2 old. This condo is comfortable enough to be your primary residence or can be a vacation home with great rental potential when you are not in Englewood. This is a must see for home owners who are serious about boating/fishing and want to be close to the beach. A great investment opportunity. Additional Lease Restrictions No Pets Allowed For Tenants Except For Therapy Dogs.